Michael Piu outside of St Patricks Community Centre Fremantle. WHEN there are challenges there are opportunities. This is the attitude of new St Patrick’s Community Support Centre (St Pat’s) chief executive Michael Piu. 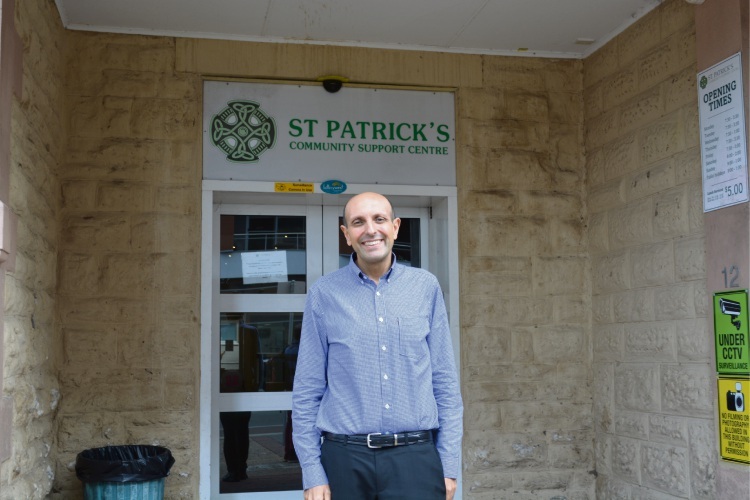 Mr Piu has been involved with St Pat’s for 18 years, nine years on the board before leaving to work for nine years in the organisation including as deputy chief executive. Mr Piu said he took his hat off to the leadership of former chief executive Steve McDermott. “I am filling big shoes, St Pat’s has grown a lot in the past few years,” he said. The new chief executive said he hoped St Pat’s and other organisations could collaborate more on projects. “There is a finite amount of resources, and we can’t do everything,” he said. “I hope to expand our geographical area for housing projects to include more than just the Fremantle area and its immediate surroundings. “I want to think outside the square for housing to cover more income brackets. Mr Piu said the community’s understanding and awareness around homelessness had grown. “Issues like women and homelessness, the impact of family and domestic violence, older people and homelessness; people are becoming more and more aware of the scope of these issues,” he said. “We have also had Fremantle council and Fremantle Police engage with us and support proposals like ‘20 Lives for 20 Homes’ which aims at rapid housing and supporting vulnerable individuals. “We are still missing policies around prevention, we are still the ambulance at the bottom of the cliff.